Scunthorpe is a dirty word when it comes to “Places to Visit”, but that shouldn’t hold you back if you’re into vintage and antiques hunting. 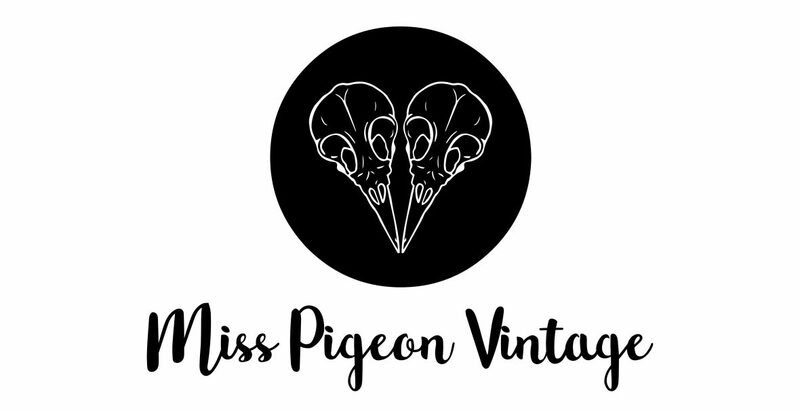 The place is steeped in history, has a distinct Northern grit and is the home of Miss Pigeon Vintage, among a lot of other places to buy your nostalgia. Styled and curated by Miss Pigeon Vintage, #boxwindow is a shoppable window display that you’ll find on Scunthorpe High Street as part of the effortlessly cool Café INDIE. With some profits of each sale going to Café INDIE, purchases made also support their vital youth work projects. Mainly women’s clothing and homewares. Café INDIEpendent, 169 High Street, Scunthorpe. Monday-Saturday: 10am – 5pm with some later evenings. The window stock can be seen 24 hrs a day. Salvage Row sell vintage and retro furniture, household items and curiosities. They also produce a range of bespoke furniture built in house. Salvage Row is the trading arm of PHASE, a local Community Interest Company that supports young people through housing issues. The 1st Saturday of every month, the Wet Records family host a pop-up record shop at Café INDIE, Scunthorpe High Street. Dig the crates in a bohemian atmosphere created with live music from musicians and bands carefully selected by Wet Records. Retro and modern vinyl record flicking, while listening to live original music. The first Saturday of every month, starting from 10am. Definitely worth a visit for a dose of crate digging. Birds Nest are exceptional at sourcing and are very reasonably priced. A wide selection of vintage, retro, antique and nostalgia. A vast array of homewares, fashion, collectibles and much more. From genuine antiques to the unique, secondhand and pre-loved items. There is something to suit every home and every budget, here. Take great pride in making Vendemia a warm and friendly boutique, stocking 1940s & 1950s style clothing. High quality reproduction 1940’s and 1950’s style clothing for females. Unit 4 Moorwell Business Park, Moorwell Road, Scunthorpe, DN17 2RU.